Back in February we blogged about our first private beta with HMRC. 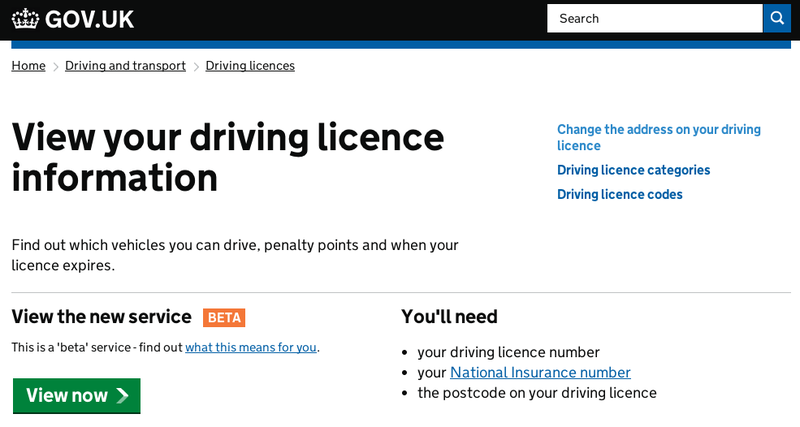 This week, the next service to use identity assurance, DVLA View Driving Record, started their identity assurance private beta. Sarah Morgan has written about it on the DVLA blog. If you are curious about what identity assurance is and how it works Janet Hughes’ blog post is a good place to start. As always, if you have questions or feedback about the identity assurance programme, please feel free to comment and we’ll do our best to respond. If you haven't already, please sign up for email alerts to updates on this blog.